Marysia graduated from the Warsaw Academy of Fine Arts, after which she began her journey around the world. 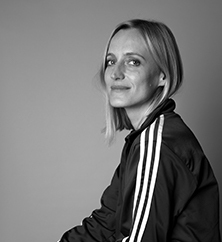 She worked as an art director and a creative director at agencies in her home town of Warsaw, in New York and Cape Town. Her career as a director began with short films, which were recognized at international film festivals, such as the Brooklyn Film Festival, the Sao Paulo International Short Film Festival and the Montreal World Film Festival. Today she works for fashion and beauty brands, lifestyle clients, and she also directs non-commercial projects and music videos. She gives each project a personality with a rich visual layer.